No one else can make you do, think, or feel anything. But every relationship you have in life influences all of these things. Your thoughts and energy combine with all of your connections and become your reality. 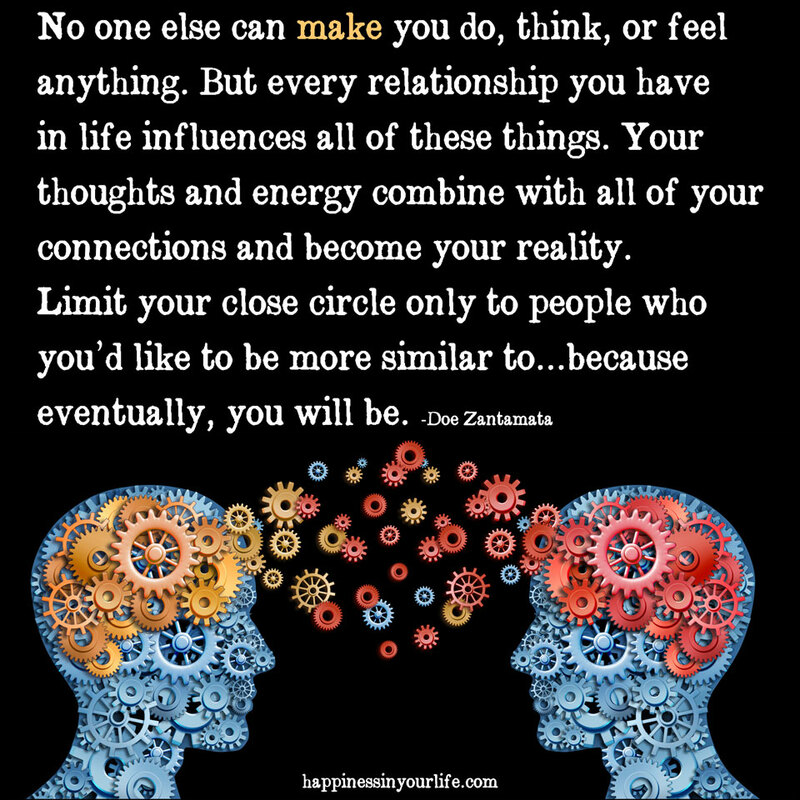 Limit your close circle only to people who you’d like to be more similar to…because eventually, you will be.